You'll be £6.40 closer to your next £10.00 credit when you purchase Gut Health and Probiotics. What's this? A simplified explanation of probiotics and what they can do for and to the human body is long overdue. Despite the fact that people use the term probiotics a lot in the media as well as in everyday life there appears to be some confusion as to whether probiotics are something that occurs naturally in a healthy human gut or ‘biome’, something that is added to your yogurt or whether it’s simply a pot of pills that you need to take when you’re ill. Gut Health and Probiotics will take readers on a quest to understand what both probiotics and prebiotics can do for their long term gut health and how this might affect a broad range of body systems from skin health to mental health. Along the way readers will discover how useful probiotics are in both preventing and curing specific ailments, as Jenny explains just how simple it is to feel great from the inside-out. Some good information on gut health. A little more scientific than I would like. I need easy to read instructions that I can implement. I was looking for a book to give me the fundamentals of gut health and I am happy to say this book delivered. It was engaging, informative and easy to read. I came away with lots of new knowledge and tips for improving my health. I would recommend this book for anyone wanting to become better informed in this area. This is an informational book aimed at the average person, it's not a medical/technical manual, there is little technical information ('biochemical' appears only 2 times in the text), and as such, it does a pretty good job of covering the essential information without being overly academic or 'scary'. This is an important book for maintaining the health of your digestive tract. After losing my entire family to stomach cancers I have launched a personal study on digestive health. I found this book to be a important body of work that I highly recommend to everyone who is seeking better health. This was a very informative and up to date read on a currently popular topic. The concepts of a healthy gut, dysbiosis and the benefits probiotics (and probiotics) were well explained. These were linked to a wide range of common and not so common health complaints and diagnoses, from a wide range skin conditions to mental health. A good book for anyone interested in the role of food and toxins on the gut in human health. I was completely impressed with this comprehensive look at gut health, making it a must read for those with digestive issues and those looking to maintain a healthy gut. A good book for anyone interested in the role of food and toxins on the gut in human health. Although there were scientific words I don’t think it would be difficult for a wide audience to understand. If it is a subject that interests you (or you have issues) this should make an interesting read. There is plenty of food for thought as well as for feeding the biome. Always wanted to know a bit more about gut health generally and this book answered most of my questions. Gut health is so important to our overall health and wellbeing and I learnt a lot. Very informative, great read. Plenty of great information for those that want to learn more about their gut health and how to improve it. With the wealth of information out there at the moment on the micro-biome this is a good way to cut through the sensationalism and get right to the facts. There is a lot of detailed information on when to use prebiotics and probiotics, how to use them for specific issues, and how to get them from your food as well as supplements. A good guide if you have gut problems or just want to be healthier. A very informative and insightful read. It was an actual book that was easy to read and understand. I could actually take something from it and use it to change my eating habits. 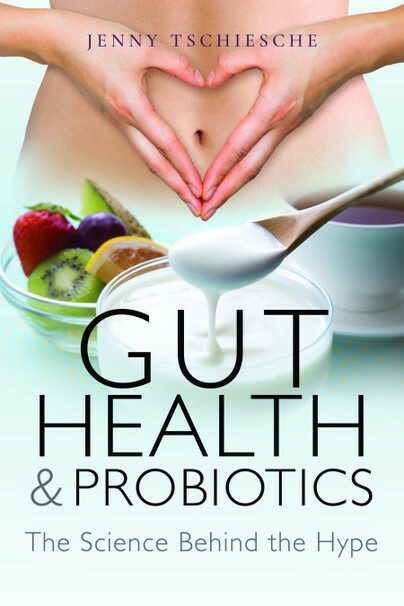 For anyone who has problems with their Gut, this book is a wealth of information and really gives you an excellent insight to Probiotics and just how they affect your body. I liked the author’s style: it was quite nice, easy but without childish blabbering. Very informative. I learnt a lot from reading this book. It had a great amount of reading and knowledge in there and the content was great. Jenny Tschiesche is one of the UK’s leading nutrition experts and the founder of www.lunchboxdoctor.com, a hugely popular brand. 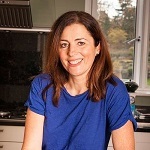 She creates delicious and nutritious recipes for leading brands and health campaigns including BBC Sport, Sport England, Cancer Research UK and The Realbuzz Group. Jenny is a guest nutrition presenter on QVC (the TV shopping channel) and regularly contributes to TV and radio shows including Good Morning Britain and BBC Radio and to newspapers and magazines including The Guardian, The Mail, Zest, Prima and Top Santé.